JAMES CHARLES McGRATH. Passed away December 3, 2018 at the age of 87. Beloved husband of Lucille (nee Restifo) for 61 years. Loving father of Mary McGrath, Thomas McGrath (Jacquie), Kathleen McGrath, Karen Godzich (Steven), and Christine Kamrass (Stephan). Grandfather of Jacob McGrath, Nicholas Godzich, and Ethan and Sarah Kamrass. Predeceased by parents Charles and Mary Josephine McGrath and brothers William and Michael. Uncle and friend to many. Jim graduated from St. Ignatius High School, Xavier University, and Case Western Reserve Law School. Jim was in private practice for many years and was retained by the Ohio Turnpike, retiring as General Counsel in 1995. 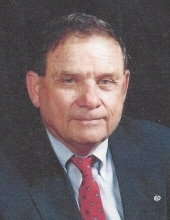 An avid golfer, Jim was a member of Westwood Country Club for 60 years. The family will receive friends at THE MCGORRAY-HANNA FUNERAL HOME OF WESTLAKE, 25620 CENTER RIDGE RD., ON SUNDAY, DECEMBER 9TH FROM 2:00-5:00 P.M. A Funeral Mass will be held at St. Bernadette's Church, 2256 Clague Road, Westlake, on Monday, December 10th at 10:30 a.m. Interment at Lakewood Park Cemetery. In lieu of flowers, family suggests donations to: St. Ignatius High School, 1911 West 30th Street, Cleveland, Ohio 44113 or Metro Catholic School, 3555 West 54th Street, Cleveland, Ohio 44102. "Email Address" would like to share the life celebration of JAMES CHARLES McGRATH. Click on the "link" to go to share a favorite memory or leave a condolence message for the family.